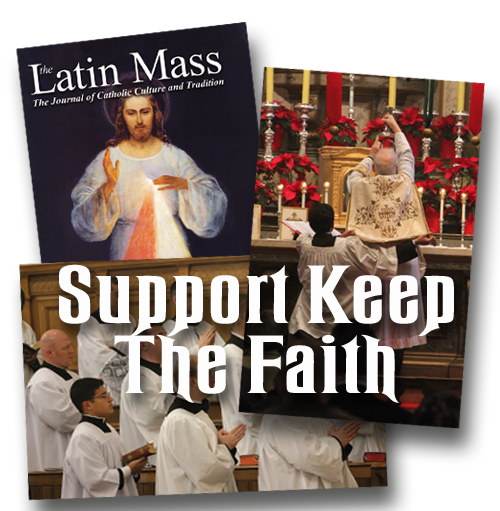 Your donations to the apostolate of Keep the Faith are urgnetly needed and greatly appreciated. They support our efforts to spread and teach to the faith to untold thousands of priests, seminarians and laity who are hungry for authentic orthodox teaching. Please make a donation to Keep The Faith.